Kids With Ebola, Bird Flu Or TB? Texas Children's Hospital Will Be Ready : Shots - Health News A pediatric hospital in Houston is opening a new biocontainment wing — the first in the U.S. designed for children. Kids will even get dolls sporting mini versions of "spacesuits" doctors wear. None of the biocontainment treatment centers in U.S. hospitals were specifically designed for kids — until now. 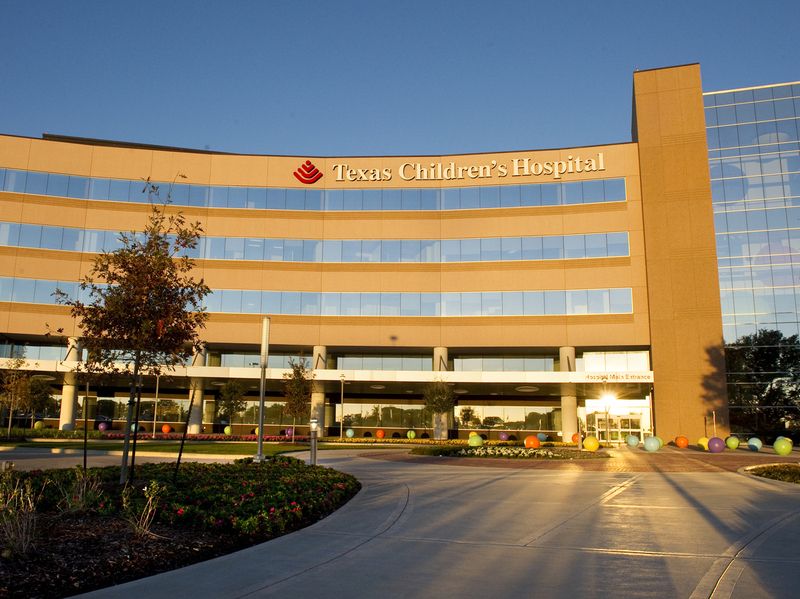 Texas Children's Hospital aims to fill that gap. It's been exactly one year since the CDC confirmed that Thomas Eric Duncan had Ebola. He had flown from Liberia to Dallas to visit his fiancé, and became the first person diagnosed with the deadly virus on American soil. During his stay at Texas Presbyterian Hospital in Dallas, two nurses also fell ill with Ebola. Duncan died, but the nurses survived, as did a handful of Americans who fell ill in West Africa but were transported back to the United States for care. The Ebola outbreak in West Africa, and its spillover into the U.S., forced hospital officials to take a hard look at their readiness for a serious epidemic. Within months the CDC designated 55 hospitals nationwide as future Ebola treatment centers, including two in Texas: the University of Texas Medical Branch, in Galveston, and Texas Children's Hospital in Houston. For many of these hospitals, preparing to care for Ebola patients meant renovating rooms and increasing training and simulations for staff. But Texas Children's has built an entirely new unit for kids — a biocontainment wing with eight beds at its facility in suburban Houston. "A year ago in the United States, there were only twelve beds for the entire country for patients that had a need to be isolated in a biocontainment unit," says Dr. Judith Campbell, medical director for infection control and prevention at Texas Children's. "And, not surprisingly, zero of those beds were designated for children." The biocontainment unit is still under construction. 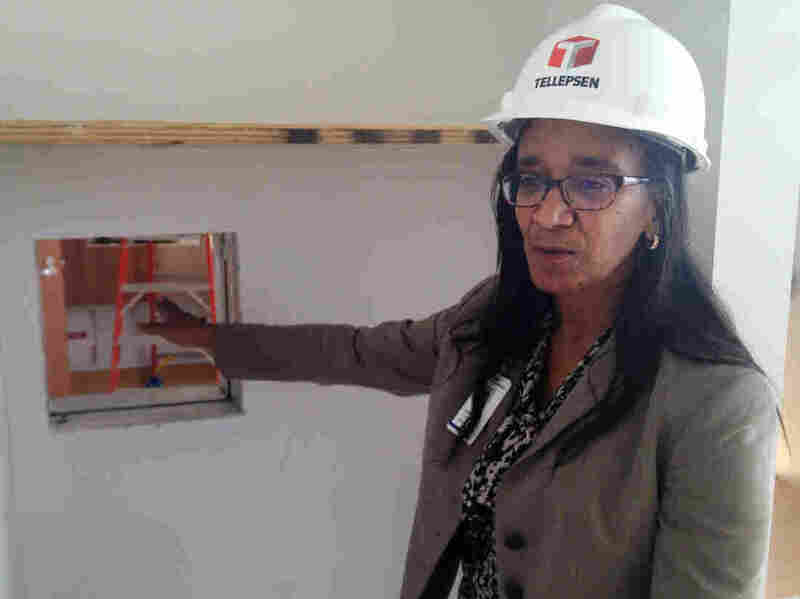 Dr. Judith Campbell, a specialist in pediatric infectious disease, explains that a "pass-through window" will allow health workers to make some deliveries without having to don and doff the entire protective outfit. Campbell helped design the special pediatric unit, which the hospital began planning after Duncan's death. The $16 million project, which includes a separate area with 10 regular pediatric beds, was paid for out of the hospital's capital funds and $1 million in donations. Each of the eight patient rooms in the biocontainment unit has an antechamber, where doctors and nurses will put on protective gear, gloves and ventilated hoods. After treating the child inside the room, they will leave through a separate door and enter a third room, where they strip the equipment off. The whole time, nurses will observe through large glass windows. "So, if there's any question, they can say 'Wait, stop. You need to clean your hands again.' Or 'Wait, stop. Let's take this glove off more carefully,' " Campbell explains. The unit has its own biosafety laboratory, so infected blood samples never have to be carried to other parts of the hospital. There's also a separate medical waste room, where carts full of used clothing and equipment can be wheeled inside 6-foot autoclaves. And, after every shift, medical workers will shower before leaving the unit. Hospital officials say Ebola was the catalyst for the decision to build, but the unit is designed to handle any globe-trotting superbug. "These rooms are equipped to take care of TB, MERS, pandemic influenza, bird flu and even a pathogen that we might not know what it is yet," Campbell says. "That's why we wanted to build something with the highest level of isolation ability." Before designing the unit, teams from Texas Children's visited adult biocontainment units at hospitals in Atlanta and Omaha. The medical architecture in the new unit is impressive, says Dr. Amy Arrington, a pediatric intensive care specialist, but staff preparation is crucial, too. The initial training included 16 hours of learning how to maneuver in the awkward biocontainment suits – while still maintaining the emotional warmth and reassurance that's part of caring for a child. 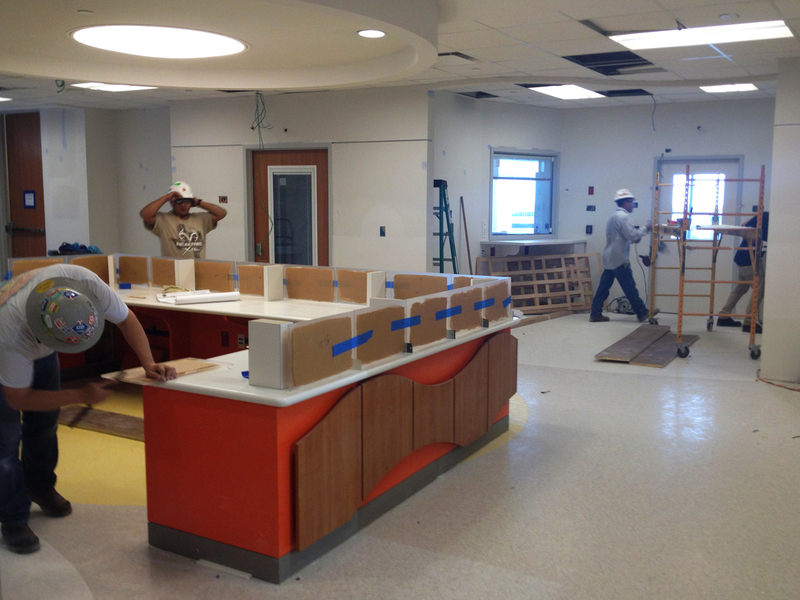 Workers are still about a month from finishing up the 8-bed isolation unit at Texas Children's Hospital. The unit's goal is to provide for the special physical and emotional needs of kids with highly infectious diseases. "I describe it as a space suit," Arrington says. The suit "has footies and arm holes and covers you up completely." Doctors and nurses who volunteered to work on the unit had to relearn skills — such as inserting IVs while wearing the suit. "When you put three pairs of gloves on, you (can) lose sensation in your hands because they're so tight," says Arrington, "But you really lose that tactile feel that as physicians and nurses is really important in taking care of any patient, let alone a child." Kids can be especially vulnerable to infectious diseases. During the Ebola outbreak in West Africa, children died at a higher rate than adults. As pediatricians and parents know, sick children not only need close monitoring, but also encouragement to eat and drink, and comfort when they are scared and confused. That can be harder in a pediatric biocontainment room — the parents of a very sick child will probably not be allowed inside. But Campbell says Texas Children's Hospital is ready for that challenge, too. At least six doctors or nurses will be assigned to each child, and one of them will act as a family liaison. The kids will also be able to use tablet computers to talk with their families via video chat, and will be able to see them through the large windows. The hospital is also developing a special doll that will wear a mini-version of the same biocontainment suit the doctors and nurses wear. The goal there, Campbell says, is to soothe even the youngest kids, and help them understand, "Yes, we're dressed up a little differently, but ... their little doll has similar attire on." The pediatric isolation unit is to be ready to accept patients in late October, with a formal ribbon-cutting expected in November.